This is a review of the Samsung Wave S8500 – the first smartphone powered by Bada – Samsung’s new OS which will compete with Android OS, iOS, Windows Phone 7 OS, Symbian S^3 and the Blackberry OS. It is priced well and is packed with features. It is supposed to showcase the capabilities of Bada OS to the world. Let’s see how it stacks up. The Samsung Wave has a nice sleek design and is pretty slim. It has dimensions of 118 x 56 x 10.9 mm and weighs about 118 gms. The build quality is very good and the phone feels sturdy. The front face is largely covered with the excellent 3.3 inch display and three keys – Call, End and Menu. The secondary videocall camera is placed above the display. The left side holds the volume rocker while the right has the dedicated camera key and lock button. On the top there is the microUSB port and the 3.5 mm audio jack. The back of the phone sports the 5 MP camera and LED flash. The 3.3 inch Super AMOLED capacitive touchscreen is the highlight of the Samsung Wave. It has a native resolution of 480 x 800 pixels and supports 16 M colors. It is one of the best displays in terms of display quality – it stands right next to the Samsung Galaxy S and the iPhone 4 in that aspect. The display is ideal for watching videos and images. It has excellent contrast and vibrant colors with great sunlight visibility and wide viewing angles. The Samsung Wave runs Bada – Samsung’s new smartphone OS. The Bada OS runs the TouchWiz UI 3.0 which is very similar to the TouchWiz UI in Samsung Android phones. It is very intuitive, easy to use, fast and responsive. It has multiple homescreens which are filled with widgets. The notifications area is very similar to Android. It also allows you to switch on/off Wi-Fi and Bluetooth directly from the notification area. The OS supports multi-tasking, allowing you to run multiple apps and switch between them. It comes with 2 GB of internal memory which is partitioned thus – 390 MB user memory, 1 GB application memory and 550 MB messaging memory. The processor used is a ARM Cortex A8 running at 1 GHz. It has 512 MB RAM. 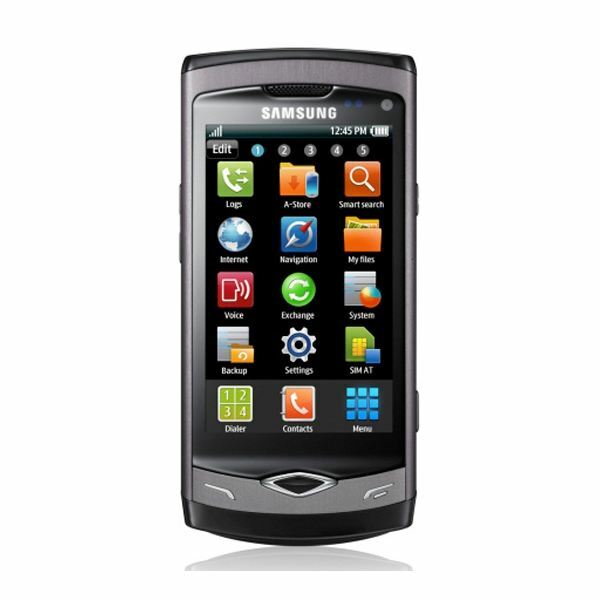 The Samsung Wave S8500 comes with a media browser / gallery application which allows you to access your images. You can also zoom in using multi-touch gestures and scroll through the images. The gallery is very fast and responsive. The images look great on the Super AMOLED display. The Samsung Wave also has a built in video player with basic options. The video playback is truly amazing, thanks to the excellent display and the fast processor. There is minimal lag or stutter during playback. It can play even 720p videos flawlessly and supports DivX, Xvid, MP4 and MKV files. It is undoubtedly one of the best video players. Even the music player is pretty good, it has an nice, easy to use interface which supports album art and playlists and has nice visual effects. It also allows you to customize basic audio options and has an equalizer. It has DNSe which leads to superb sound quality, possibly the best in all mobile devices. It also has an FM radio with RDS and a recording feature. It has a 5 MP camera which can take shots at a maximum resolution of 2592 x 1944 pixels. The camera is equipped with autofocus and LED flash and comes with additional features like touch focus, geotagging, face detection, smile detection, blink detection and image stablilization. The image capture quality is very good and the camera interface is detailed offering a lot of customization options. It allows you to capture 720p video at 30 FPS which is excellent. The Samsung Wave is definitely a multimedia powerhouse. It has all the connectivity options known to man – GPRS, EDGE, 3G HSDPA, Bluetooth 3.0 with A2DP, Wi-Fi 802.11 b/g/n, MicroUSB 2.0. it comes with a built in Webkit based browser which is pretty good and supports Flash. It also has Twitter and Facebook clients installed. It will come with the Bada App Store at launch which allows you to download and install applications online. It will have around 100 applications at launch, most of them free. It also has a built in GPS transceiver with A-GPS and the Samsung Mobile Navigator application. It has nice reception quality with almost no issues. It is powered by a 1500 mAh Li-ion battery which lasts for about 2-3 days with a good amount of usage. It comes bundled with the usual accessories – charger, microUSB data cable, headset, a 1 GB memory card and the user manuals. 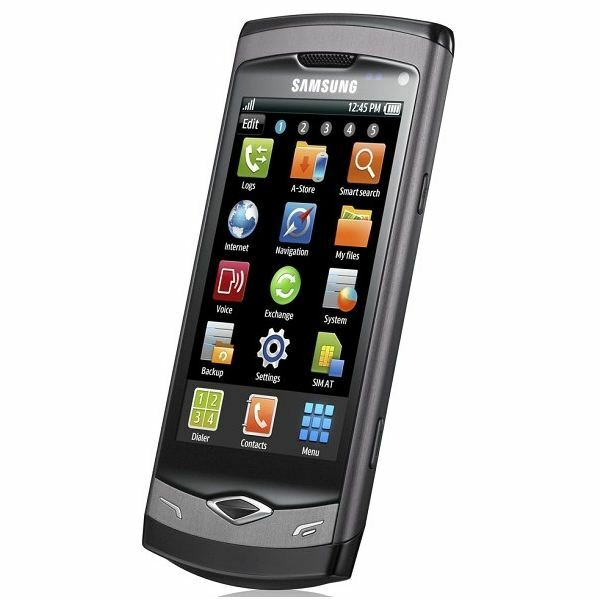 Being the first Bada OS smartphone, the Samsung Wave has a lot riding on it. From the looks of it, it will manage to deliver on all the expectations. It is one of the best smartphones hardware wise and Bada OS seems to be quite promising. The Bada App Store has the potential to compete with the iPhone App Store and the Android Market. The Samsung Wave is the perfect launch vehicle for the Bada platform. It is fully recommended by me.